Much ink has been spilled on the commercialization of yoga, and rightly so, but I want to talk about one aspect of the “consumerization” of yoga that is fairly controversial: the impact of the overly-solicitous orientation of studios toward their students as clients. I will start with something we can all agree on: a yoga class should offer a safe, supportive environment in which to perform physiological and sometimes psychological exercises. The yoga teacher’s job is to make sure the student is not practicing in an injurious way. The teacher’s job is to also be professional, in the very widely-accepted use of the term (on time, ready to work, courteous and interested in the well-being of the student) and to be knowledgeable about alignment and sequencing principles. Why not? Well, because a “good time” is subjective and not quantifiable. Let me offer you some analogies. You go to the movies; the film you see is really disappointing. You don’t go to the box office and request a refund, right? You go to a Cross Fit class. You don’t complain that the class is too “easy,” even if it is, do you? You are in a restaurant and find the music obnoxious; you don’t actually demand the restaurant stop playing the music altogether, right? So why is it that we would complain about any variations on those themes in an yoga class? Easy, difficult, sucky music, awesome music, too hot, too cold, too vinyasa-y, too restorative, too many adjusts, too little adjusts. But too whatever is subjective. And because instructors are human, their classes also vary week-to-week and class-to class. Studios listen intently to student feedback. That survey we fill out at the end of class? Our teachers are hearing about it, rest assured; and they often have to account for things. I am not saying this to place blame with anyone, but I am saying that what could have been a student having a bad day can very quickly escalate into a teacher and a teacher’s boss having a bad day. A lot of emails will be exchanged and a lot of conversations will be had. Why, then, do we pay lip service to an attitude of non-judgment (and we actually mean it; we don’t just pay lip service to it); yet, by encouraging a “the customer is always right” mentality, we foster judgment, hierarchy and close-mindedness. Class annoys us? Teacher annoys us? Vote with our feet. Complain about it? That’s certainly our prerogative. Ask for a refund? Sure; this is a business, after all. But maybe let’s save ourselves some teeth gnashing and vote with our (eight) limbs of and on yoga. Find the right path for you. But don’t assume your teacher or anyone else is a human jukebox version of instant fun, gratification or enlightenment. Raising animals for food uses 30 per cent of the Earth’s land mass… that’s about the same size as Asia! 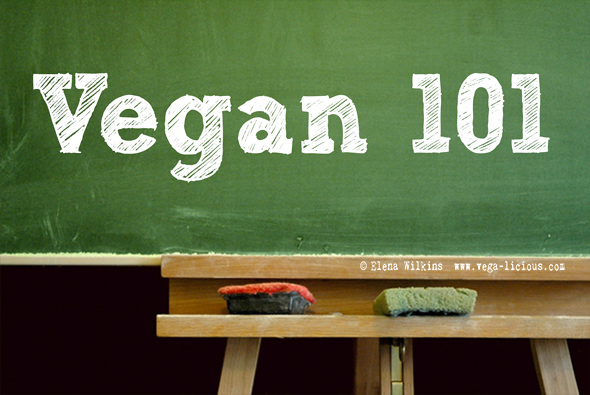 The statistics go on and on, but really…let’s talk about being a vegan. Let’s *really* talk about it! The prevailing view people have of vegans is that we are are proselytizing lot, perching on some sort of a moral high ground of sanctimoniousness and telling everyone who will listen of our impossible-to-please palates. Or that we are sitting there constantly wondering what we *can* eat…because there is nothing for us to eat. Let me share a little bit about my gastronomical journey. I grew up eating meat–I am Bulgarian, what did you think!? But I also grew up on a farm, where I saw what it takes to put that meat on a plate and where the animals were always treated with thoughtfulness and care. I never had any illusions about exactly what happens to an animal before he/she provides sustenance to you. One day when I was in my 20s, I decided to go vegetarian just on a whim, wanting to “minimize, downsize, and simplify.” The month I had given myself as a trial period quickly passed and eating meat was no longer something I had any desire to do. Transitioning was easy–I had always done a lot of cooking and I simply cooked all of my meals, not being concerned at all about what I could and could not find in the store. Fast forward several years–now let me preface this by saying that no, I am not so naive that I make lifestyle choices based upon the viewing of a documentary, I assure you. But watchingEarthlings, easily the most violent and grotesque movie I have ever seen (yes, it trumps Requiem For Dream in that department), made me so violently ill that I stopped eating dairy. Now, do I have an issue with this documentary? Oh, most definitely! It is exploitative, biased, and…runs like a snuff film. Yet, did it turn me away from eating dairy? Was it my Requiem For An Animal Product Diet, if you will? Sure. There are so many reasons to transition to a vegan diet–ethical, animal right-based, environmental, health, cost-saving and you will find the people who are vegans espouse the very spectrum of these reasons. There is no “vegan” type. If there is anything that is most definitely true about it, it is that it certainly is a *mindful* way of eating, even on the most literal, basic level. But moving beyond that, I feel that rather than getting bogged down on whether your bread contains honey, veganism is about switching off your auto pilot when it comes to what you put inside your body. It’s about considering how you *can* make a difference on a global scale with your very “small” personal choices. To me, it’s a true return to our roots. Literally. For eons, our ancestors have been eating plants, nuts, and berries (Paleo diet converts, if you want to argue this, come to my workshop! I will do my best to disabuse you of our ancestors as meat eaters myth :). Finding those plants made us grow socially–it taught us to cooperate, to spend more time together, to watch out for each other. This is why veganism is often called the “kind diet.” It’s about being kind to your tummy, being kind to all of kind, not just our fellow Sapiens. If you’re interested in adopting a plant-based diet, join Toni on Saturday, April 25 at Yoga District 14th Street for our two hour Vegan for Beveganers workshop (in honor of Earth Day! ).